Ultimate pack setup for 450 sized helicopters like the T-Rex! Perfect upgrade for the DJI Phantom and F330 Flame Wheel! Note: Stock plug on DJI Phantom is XT60. 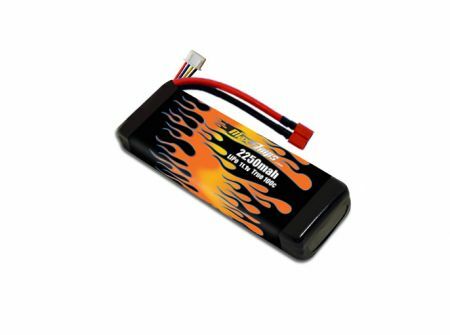 MaxAmp batteries are great for RC aircraft applications. They outperform other batteries and don't puff even after a year of use. I stopped buying other brands.